A & R Flatwork & Poured Walls uses the "Durand Forming System," the most efficient in the basement forming industry. This, coupled with our crane truck, allows us to complete your poured wall in a minimal number of days. Because poured walls use 40 percent more concrete, strength tests have shown that poured walls are ten times stronger than block basements and account for 72 percent of basements nation wide. The rolling hills of Michigan make almost every site adaptable for a poured wall basement. Basements are the most economical square footage of a home. They can be finished for additional living space or left unfinished for storage, or any combination of the two. A lot of homeowners finish their basements on their own and dramatically raise the value of their homes through their own sweat equity. With proper waterproofing, poured basements don't leak. When a block basement cracks because of its low strength, water problems almost always occur. 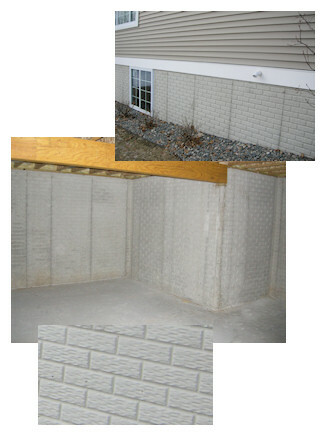 Concrete basements provide safety in any weather condition. A & R can pour your concrete basement cheaper than both the "high overhead" or the inefficient companies. Customers appreciate dealing with one contractor from start to finish.